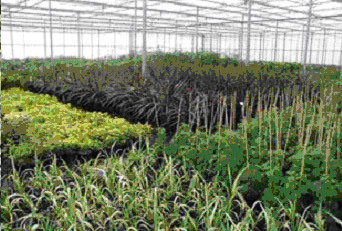 This year James Coles Nurseries made the decision to trial Wormcast~Pro T on their 2 hectare site in Spalding where they produce a range of container grown nursery stock. Wormcast~Pro T was applied at ten litres per hectare every 21 days through the overhead irrigation system from mid March through to November. Container Production Manager Mark Cade stated that the results were very encouraging. The plants showed improved quality. 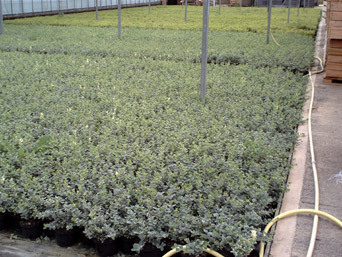 Disease was virtually eliminated with just one batch of euonymus needing just one treatment for mildew, all other plants remained free of disease the whole season. Mark said "we have seen enough benefits to extend the use of Wormcast~Pro T to another one of our nurseries for 2009, the trial has been very cost effective for us and well worth doing."